WASHINGTON — Health and Human Services Secretary Tom Price said Thursday he will write a personal check to the U.S. Treasury to reimburse taxpayers for thousands of dollars in private flights. "I will take no more private charter flights as Secretary of HHS. No exceptions," Price said in a statement. "Today, I will write a personal check to the U.S. Treasury for the expenses of my travel on private charter planes. The taxpayers won’t pay a dime for my seat on those planes." 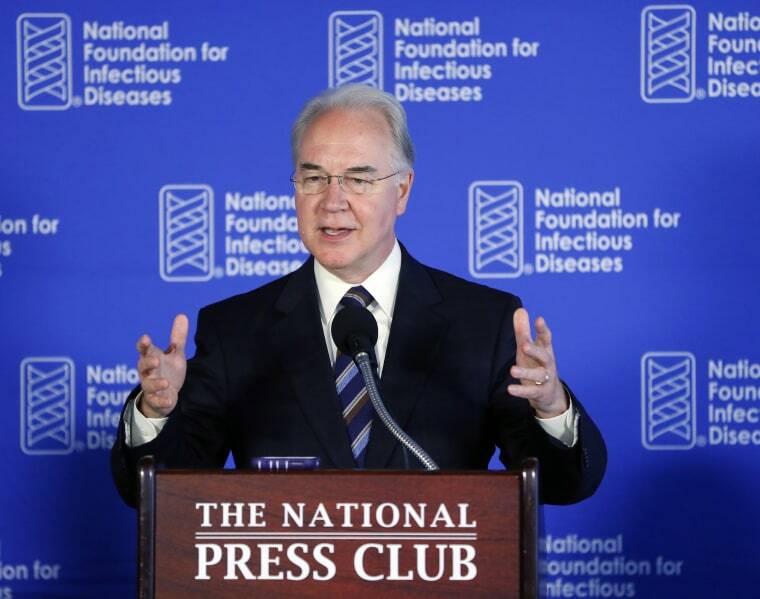 A department spokeswoman told NBC News that Price would pay back a total of $51,887.31. “What the Secretary has done is say that while all of this travel was approved by legal and HHS officials, the Secretary has heard the taxpayers’ concerns and wants to be responsive to them. That’s why he’s taking the unprecedented step of reimbursing the government for his share of the travel," the spokeswoman said in a statement. The spokeswoman did not disclose if others who boarded the private flights with Price would also reimburse taxpayers. Price's announcement came a day after President Donald Trump told reporters Wednesday that he was "not happy" with Price after it was first reported by Politico that Price had chartered expensive private flights for official business rather than flying commercial. When asked if Price would be fired, Trump left the option open. "We'll see," the president told reporters. "I'm looking at that very closely. I am not happy with him." Price said in the statement that he and his staff will continue to cooperate with the Office of Inspector General (OIG) review of his travel. "I regret the concerns this has raised regarding the use of taxpayer dollars. All of my political career I’ve fought for the taxpayers," Price said. "It is clear to me that in this case, I was not sensitive enough to my concern for the taxpayer. I know as well as anyone that the American people want to know that their hard-earned dollars are being spent wisely by government officials." Price, a former Republican House member from Georgia, has been under intense scrutiny for chartering several private flights to functions around the country in his official cabinet role. In one case, he took a private jet to a resort in Maine where he was part of a discussion with a health care industry CEO. 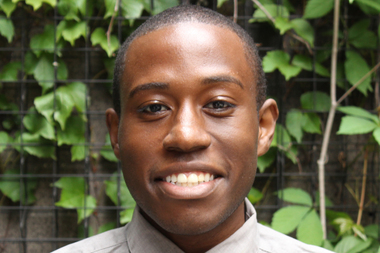 He also chartered flights to community health centers in New Hampshire and Pennsylvania. The HHS inspector general's office previously said the agency is reviewing Price's charter flights to see if they violated government travel regulations. Price had previously defended his use of private jets and a department spokeswoman said Price tries to fly commercial whenever possible. Senate Judiciary Committee Chairman Chuck Grassley sent a letter to the president Thursday afternoon asking for a "government-wide" review of all travel costs, including those incurred by other cabinet secretaries. "I'm urging you to emphasize to cabinet secretaries the necessity of using reasonable and cost-effective modes of revel in accordance with federal restrictions," Grassley, R-IA, said in the letter. Earlier Thursday, Price said he believed he was still in the president’s good graces. "We’re gonna work through this," Price told reporters as he left a news conference at the National Press Club. "I think we’ve still got the confidence of the president." Asked by NBC News Thursday afternoon about Price's comments and his level of confidence in the secretary, Trump declined to comment. Instead, he turned his back and continued to walk back inside the White House. Ali Vitali, Halimah Abdullah and Hallie Jackson reported from Washington and Dartunorro Clark reported from New York. Halimah Abdullah and Hallie Jackson contributed.